It can be a daunting task at times trying to find ways of storing items in your home. Items which don’t have a specific place to be kept can create a disorganized mess in your home or workplace. Storage cubes are among the solutions to storing anything, and they do it with style. Few other alternatives are functional as well as attractive. Another reason why they are a solution to the untidy mess brought about by improper storage is the simple fact that they come in broad range of styles. There are many types of cubes that include the collapsible fabric storage cube and the foldable storage cube. They can also be made of wire or wood depending on one’s preference. Another reason why they are suitable is that they can be used in people’s homes or offices. Most people nowadays prefer the foldable storage cube made of wire because they are light, require minimum effort to assemble and can be easily moved without spoiling them. These storage cubes are cost-effective and can be used to store a number of items preventing a clutter of items from accumulating. People are also turning to wire storage cubes because of they do not have size restrictions. In the event you need extra space for your belongings, you can increase the size of the wire storage cube. These cubes are perfect for retail stores, dorm rooms, bedrooms, toy rooms, bathrooms, and any other areas you desire. This is because they are usually intended for rooms that require a simple storage design. This is the other type of storage cube that is used in most houses and workplaces as part of the home’s interior d?cor. They come in a wide range of styles, sizes, and colors. Fabric hangers used with fabric storage cubes made of wood can add privacy and color to your storage. IKEA storage cubes are the other type of storage units you can find today on the market. They can either be bought in sets or separately. They come in different designs that that can make it easy to create unique shelving units on walls. Some of the sets can be stacked on floors. When it comes to IKEA cubes, the imagination can run wild and free. The best thing about storage cubes is the ability to utilize your creativity and come up with a system to sort out the disorderly mess of items in your home. Some people today use these cubes to store collectibles, books, clothes, toiletries, or even movie and video game discs. 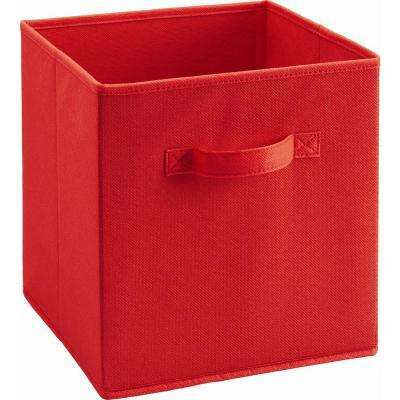 As for collapsible fabric storage cubes, it is required that you buy fabric hangers which you can use to hang your clothes. Visit some of the storage cube websites and click to learn more.